You want to build your dream home, but don’t have the property to do so. Here are four tips when buying your dream home lot. Written by: Gary Upper, JayMarc’s Development & Permit Coordinator. Gary has been in the new home construction industry for 39 years. 1. Oil Tanks and Asbestos. First, many older homes have old oil tanks either above ground or more likely buried underground. Some converted to gas years ago, but the tanks are still there. Assume that oil tanks eventually leak and that there may be leaked oil in the ground that will need to be cleaned up. This can be a serious issue costing tens of thousands of dollars to clean up during construction. There are services available that can test for the existence of a tank and contamination as part of your due diligence on the lot. It is highly recommended to do so. Second, before a home can be demolished, any friable asbestos must be removed by a licensed contractor. There are contractors who test for the location of asbestos and others who do the removal. Typically, this is a $2,000 to $10,000 process. We often use NVL Labs for our asbestos report. 2. Review the Title Report. The first thing to do is obtain your preliminary title commitment to see everything that has legally and officially been recorded against the lot. This will include any easements that you may not be aware of, neighborhood covenants that may pose some restrictions on what you can build and any underlying debt instruments that the current owner will need to pay off at closing. This is a must! A topographic survey is required as part of your building permit application and also is critical in planning how your new home will fit on the lot. Typically, an architect will require a topo before starting the design of your new house. We often use Terrane for our land surveys. 4. Get to Know the Rules. Visit the local jurisdiction and determine the zoning and utility rules that you will need to follow to design and build your home. These things vary from city to city, so it is important to find out what will apply to your specific lot. Most cities are helpful in this way and will be glad to talk to you about your specific lot. These days there are regulations that pertain to allowable building size, building height, lot coverage and tree removal that can all have an impact on your design. If you have any more questions about purchasing property, please email our team at letsbuild@jaymarchomes.com. The fall season brings many lovely and comforting things like pumpkin spice lattes, Halloween, sweaters & boots, gorgeous outdoor colors like deep reds, oranges & yellows and beautiful, crisp sunny days. While we are distracted by the many guilty pleasures we have missed during the summer, we may forget to take care of a few house maintenance items, especially those outside. Here are 5 maintenance tips to consider so when springtime rolls around again your home is full of smiles and not unexpected headaches! Early September: Summer fertilizer or quick release fertilizer. Mid November: Fall fertilizer, with moss control if needed. Clean out summer gunk from your yard drains and gutters. The beautiful leaves are about to change color and get blown down. You don’t want your drains to get clogged so water starts overflowing or gets backed up causing other issues. 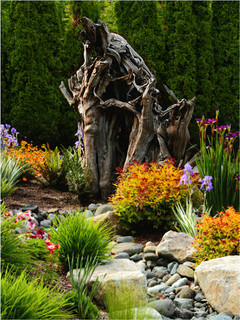 Add new bark or mulch to planting areas to help your beautiful plants and flowers last longer. This also will benefit any new bulbs you plant for the spring so they pop up healthy and glowing. Don’t forget to winterize your sprinkler system and hose bibs. A pipe burst expense in something you do not want to experience. Start by making sure the hose is disconnected from the outside faucet. Allowing water to be able to drain out of the faucet is very important. Another useful tip is to never let your house temperature get below 55 degrees Fahrenheit. Any yard tools that you use often throughout the spring and summer should be cleaned off and safely stored so they do not rust or break. Spring is just around the corner (March 20th to be exact). Pretty soon you will hear the chirping of the birds and see dozens of pretty, delicate flowers start to bloom, just like a scene out of Bambi! 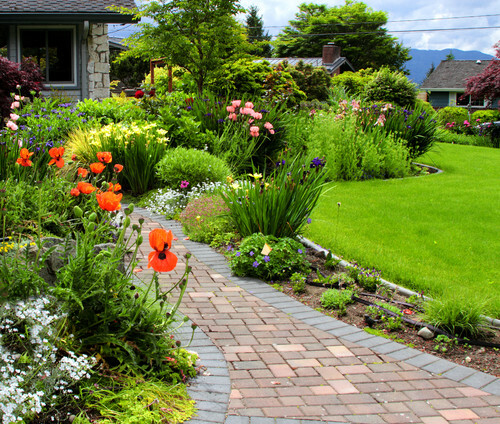 With all the soon-to-be spectacular Spring scenery around us, don’t you want your home and yard looking beautiful too? 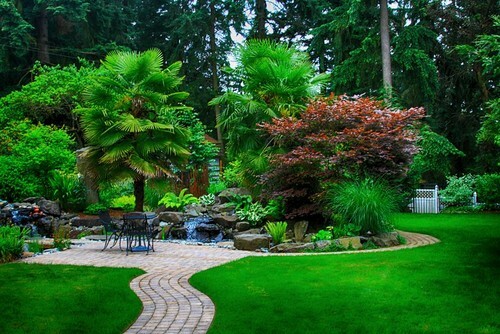 Here are some tips and reminders for a stress-free, yard and home spruce up! Clean out yard drains: this item is often forgotten about and if not done early can cause water overflow problems during rainy days. De-thatch lawn: helps remove dead grass laying above the soil so moisture and air can properly keep the grass alive. Crane Fly control: there is nothing more annoying than swarms of Crane Flies circling your yard while you are trying to play with the kiddos. Fertilize lawn, trees and shrubs: lawns should be fertilized every 4 to 6 weeks during the growing season (Feb – Nov). Activate sprinkler system: you don’t want all of your hard work to go to waste! De-winterize hose bibbs: check for any leaks that may have resulted from a freezing problem. Insect and disease control as needed: just keep an eye out for any unwanted visitors or plants that may be getting sick. 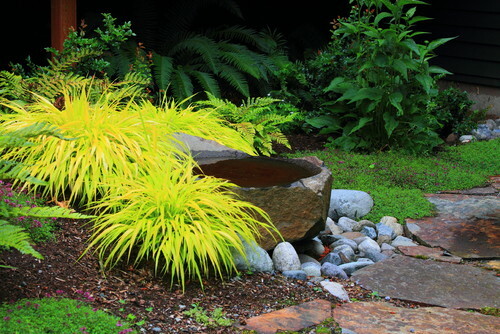 Add bark or mulch to planting beds: your plants and flowers will thank you! Mow weekly: don’t cut more than 1/3rd of the grass length off at a time. Water lawn daily: watering in the morning is best. 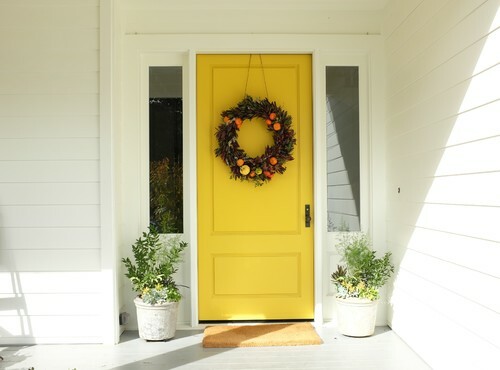 Houzz shared a great blog post expressing items you can spruce up and upgrade to get ready for the sunny months! The checklist doesn’t only focus on your home, but also focuses on you! Winter is here and it is time to prepare our homes for the chilly and snowy season. 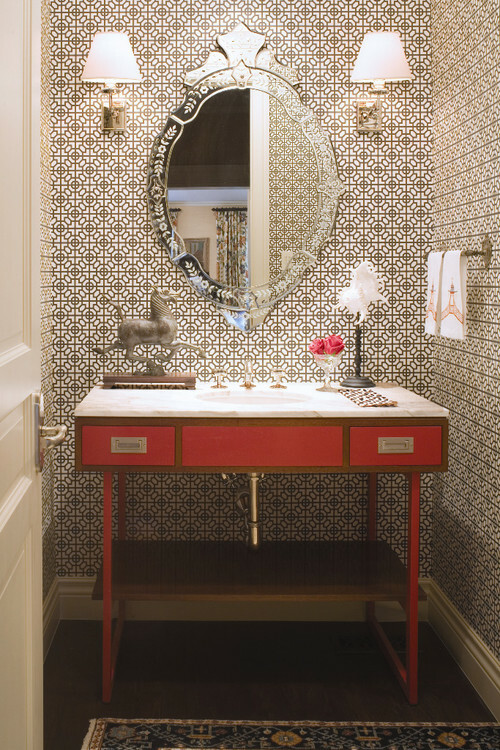 A lot of to-do items can slip our minds during the holidays, but Houzz has released a helpful article reminding us of tasks we may want to consider completing! Keep paths clear of ice and snow. Seal drafts around windows and doors. Have the chimney cleaned before its first use. Check batteries in safety devices. Get organized for holiday cooking and baking. Set up a simple gift-wrapping station. Prepare to usher in the new year. Do a post holiday tidy-up. 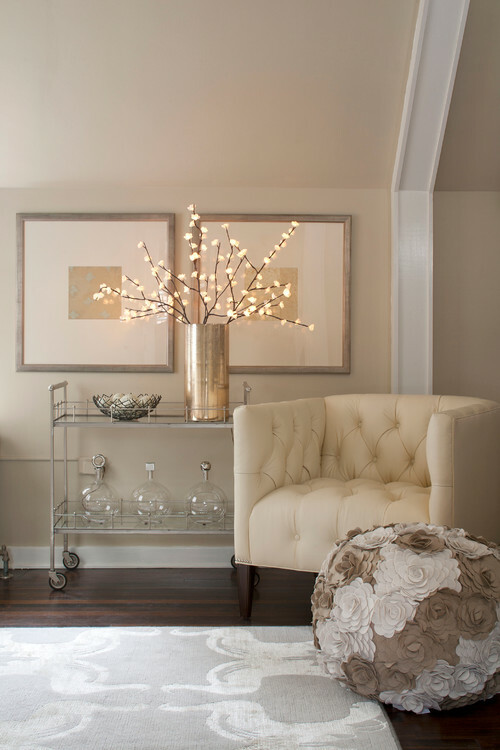 Houzz recently released a great entertainment story on how to make your home look festive and fantastic for any holiday or party event! Below are a few ideas & suggestions for spicing up your decor. To read the whole article, click here. As guests arrive at the front door, they should feel a sense of occasion – A seasonal wreath or stately topiaries will do the trick! The place where you greet your guests deserves to be gussied up a bit at party time. Lit candles or a pretty bowl filled with candy will set the tone. When you are having a dinner party, having the table fully set before guests arrive not only makes things less stressful, but the set table becomes part of the decor. 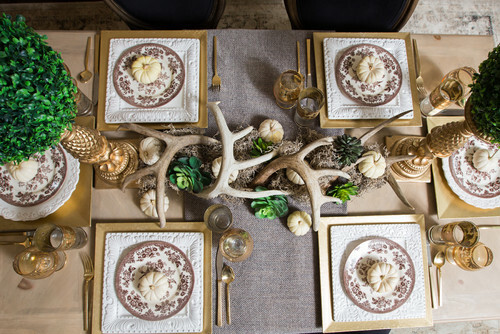 Try covering your table with a festive tablecloth or runner and form a lovely centerpiece! Another great use of the dining table during nondinner parties is as a bountiful, self-serve bar. Add a bit of sparkle or items much larger than the glassware to create some variety and capture the attention of your guests. If you have a beautiful mirror hanging above your mantel, simple candles may be all you need to make the room feel dressed up for a party. 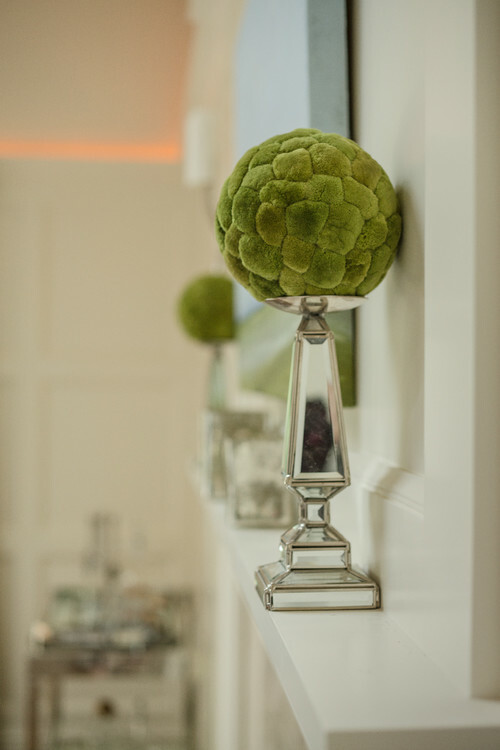 If you are feeling more on the funky side, set moss-covered balls on top of some candleholders. 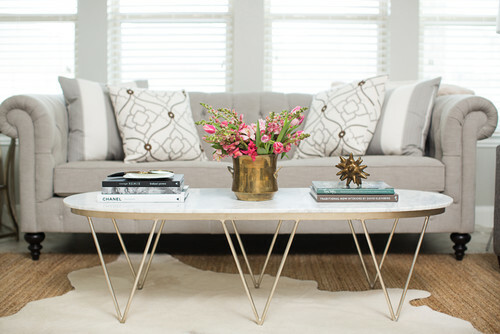 You will likely be ushering your guests into the living room, so give them something pretty to look at on the coffee table. A good formula is a simple vase with flowers plus a stacks of books with an object on top. Fresh hand towels and soap are a must. If you have pretty embroidered hand towels, use them! A tiny posy of flowers in a bud vase on the sink is a welcome touch. We want to hear from you! What are some of your favorite party decorating tips? Share below!